Morocco Gold is a superior quality, single estate, extra virgin olive oil from olives grown and pressed in the foothills of the Atlas Mountains. Pure and sophisticated, it is first cold pressed directly from olives, solely by mechanical means. This superior quality, extra virgin olive oil is produced from Picholine Marocaine olives that are high in polyphenols. This gives Morocco Gold its distinctive green fruitiness, with hints of almond, fresh turf and the peppery aftertaste of a high quality extra virgin olive oil, to give a vibrant, well balanced, clean light finish. Morocco Gold is fully and rigorously tested to International Olive Council standards for quality and purity and is fully traceable to guarantee provenance, authenticity and extra virgin quality. Morocco is a ‘Garden Of Eden’ on the doorstep of Europe. It has been producing this ‘liquid gold’ for centuries. The unique micro-climate of the Beni Mellal region, in the foothills of the magnificent Atlas Mountains, provides the ideal growing conditions for Morocco Gold olives. 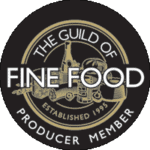 “I am so pleased to announce that your extra virgin olive oil has been selected as a gold winner in the FoodTalk Awards 2018. Congratulations to you and your team. This is no mean feat as we had over 200 companies entering into multiple categories, so it really is an achievement”.